Disclaimer: below is my story. It’s my journey. In no way am I saying that your story is wrong or that my story is right. It’s simply mine. I encourage everyone as you prepare for your own birth to do what is right for you; what makes you feel safe. Research your options and choose the one you are most comfortable with. If you aren’t comfortable with whom you’re giving birth, where you’re giving birth, how you’re giving birth, you’re going to have a hard birth. You need to feel safe, and I felt safest at my home, with my husband, my very best friend as my doula, and my midwives. Your pregnancy and birth matter. Why did I even want a natural birth, you ask? Taking care of that baby doesn’t start when he comes out. Everything you do to your body directly effects the baby. So, for us, having the most natural pregnancy and least invasive birth possible was key to giving this kid the best start to life. Why, specifically, does a natural birth matter? Because we miss out on some of life’s innate happenings when we stray from the natural birth process. Scheduling a C-Section is convenient in our crazy lives, but we miss out on the really important flora that the baby gets when passing through the vaginal canal. Using forceps, vacuum, or hands might be appealing to help baby from being “stuck” but in doing so we put 60-90 lbs of force on that little baby neck (which we all protect with our lives when holding the baby 5 seconds after he comes out). This causes damage to those sensitive structures which leads to colic, reflux, ear infections, and more. Every external influence involved in the birth process has an impact, and some women might not realize that they or the baby have been impacted by them. But other women suffer not only from physical trauma but also major emotional and psychological stress from the lack of control during their birth and their babies suffer with major health problems. Yes, your birth matters. 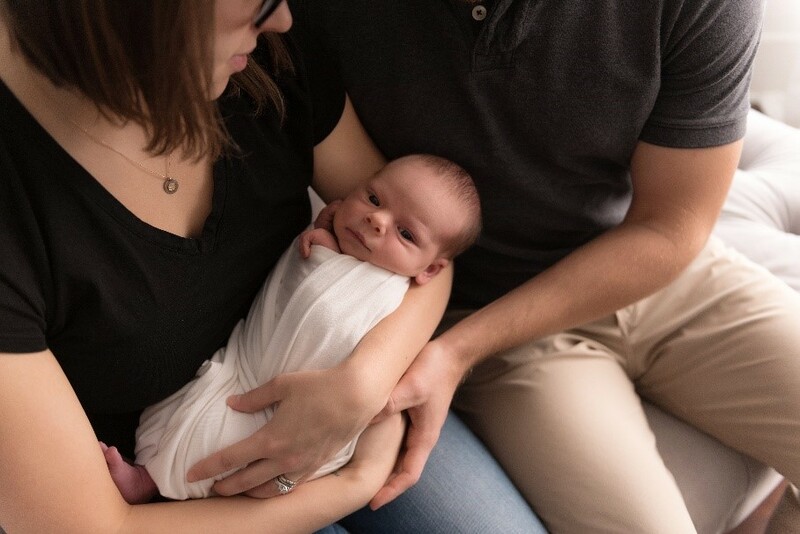 As my birth was a vastly different experience than what most are familiar with, a lot of people have asked me to tell them my birth story – you know, all of the details of how our little baby Ezekiel John Rupp was born. So here I am, sitting on my couch, 10 days after giving birth, watching Gilmore Girls while the babe is nursing, typing up my story. But where do I start? Do I start at the first contraction? No, because that would be months before actually giving birth. Do I start when I started pushing? No, because there’s so much I would be missing. So, I’ve decided I’m going to start at the beginning – when I found out I was pregnant. You see, I found out I was pregnant when I was in Mexico on a work trip. I was a nanny staying in a small hotel room with 3 children who were not my own. I took a pregnancy test at 6:28 AM and my nanny kids woke up around 6:50. So, when I saw the positive test I had all of 22 minutes to process, accept, and put aside the news. I then had to wait 4 days to tell my husband. Major bummer because that work trip was at an all-inclusive resort in Cancun. I couldn’t even take advantage of the free alcohol and food due to being sick! So once Andrew and I were on the same page and after we processed the fact that a tiny human being was being formed inside of me (which by the way is still impossible to fully grasp), we started preparing. First, switching up my vitamins just to be sure that I got what I needed to get. Granted, I don’t enjoy taking vitamins so it was a bit of a struggle to keep me on track but Andrew made sure that I kept it up. Then we read. We read a lot. We read so many books, articles, blogs, and so on. But the key was that we didn’t read the typical books like What to Expect When You’re Expecting. We were very particular about the information we were allowing inside. I knew what kind of birth I wanted and I definitely knew what kind of birth I didn’t want. When I was forming my birth plan a couple of things kept coming up: I did not want to be afraid and I did not want to lose control. This is my birth. This is my body. This is my baby. So, I wasn’t going to read something that used fear tactics to go ‘mainstream’. I wasn’t going to read something just because it was popular. No, we read books like Ina May’s Guide to Childbirth, Well Adjusted Babies, Natural Childbirth the Bradley Way, The Birth Partner, articles from Pathways to Family Wellness, and blogs from people who experienced the birth we so badly wanted. Those books taught us a lot of great information; but mainly it reassured us that what we were doing wasn’t crazy. In fact, it was natural. It was normal. It was encouraged. This is how the body is supposed to work. Then, I kept doing what I was doing to stay active. I was pretty aware of what could happen to your body if you don’t take care of it during pregnancy. I didn’t want to use the excuse, “I’m eating for two” to be able to consume 8 pieces of pie and 2 cheesecakes. Instead, I listened to my body and ate real, wholesome, quality foods whenever needed. Rather than gaining 60-80lbs during pregnancy I wanted to stay in the 25-35 lb range that is a suggested healthy weight. Why? Not because I was super body conscious during this time, but rather because I knew it would make my actual labor easier as well as my recovery. I remained at our CrossFit gym in Georgia until I was 34 weeks pregnant. I had awesome coaches who modified the workouts when I needed to modify. They told me to slow down when I needed to slow down and they pushed me when I needed to be pushed. At 34 weeks, I stopped doing CrossFit for 2 reasons: The first being that we moved to Illinois at that point so it would have been a bit of a commute to that gym. The second being that my body needed to make some changes. CrossFit is great at getting you moving and breathing and really pushing yourself. But, in my third trimester I needed my parasympathetic nervous system (the brake of the bod), to calm my body down so that it could relax enough to let this baby out of me. So, prenatal yoga it was! There I was able to focus on slowing down, breathing, and intentionally controlling certain muscles. I also did prenatal massages throughout my pregnancy. Why? Because massage. Do you really need a reason? The reality is, as you can imagine, there are a whole lot of aches and pains as your body is changing throughout pregnancy and I cannot speak more highly of my massage therapist. She spent time before and after each session talking to me about specifically what my body needed. Each time I went in something new could – and would – be bothering me and that’s what she spent more of her time on. My body was in a crazy state of rapid transition: bones moving, muscles relaxing, and ligaments tightening. She was a savior! Next, and arguably the most important, I kept getting adjusted. Adjusted? What the heck does that mean? As many of you know, we were down in Atlanta so that Andrew could pursue a Doctor of Chiropractic degree. He wants to and has done extra training to specialize in working with pregnant mamas and their babies, so I was the perfect patient! Except I wasn’t because I’m his wife and I complain about everything and it’s just always harder working on your family members. So, it’s a good thing we moved to Chicago to finish up Andrew’s schooling. You see, he is working with one of the best prenatal and pediatric chiropractic offices in the nation. So, at 34 weeks pregnant I was passed along to the doctors there (I think Andrew was sick of me but he claims he just wanted me to have care from the very best.) Isn’t chiropractic dangerous, especially while pregnant? NO. Just no. I would say that I was only able to have the labor and delivery AND recovery that I’ve been able to have BECAUSE of chiropractic. My body was able to be in the best position possible to get this 9 lb. 4 oz. baby out WITHOUT needing stitches. And finally, acupuncture. You see, I was 41 weeks pregnant. And although I trust(ed) my body to know when it was ready to give birth, I was also doing concurrent care. That means I had my midwife who was going to be doing my home birth but I also had an OB who would be available if we had to transfer to a hospital. 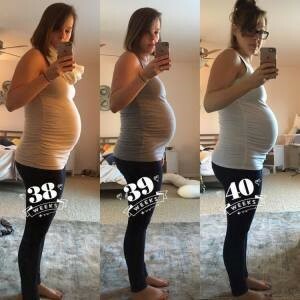 So, at 41 weeks I wanted to do everything possible to naturally encourage my body to start labor so I could avoid the induction conversation that was inevitably going to happen. I had never done acupuncture before, but when it continued to come up as a good way to encourage labor to start, I was all in. I don’t really understand how it works other than the fact that tiny needles get stuck into your body in different points. Everywhere they put the needles correlated to my uterus somehow. So, I sat in a room for 30 minutes. Every 10 minutes the acupuncturist would come in and stimulate the needles by twisting them. She would continue twisting until I felt an electric type shock go through my muscle and then she would move on. During that session I felt my first full on contractions. Hallelujah. I don’t know if it was placebo or if my body would have started labor then regardless of the acupuncture, and I don’t really care. Whatever it was, bring on labor. So why did I tell you all of that? I told you all of that because birth isn’t a sprint. It’s a marathon. Have you ever met someone who ran a marathon without any form of training leading up to the event? No. And those that have surely have failed. I didn’t want to fail. I wasn’t going to go into my birth and “try” to do it naturally. No, I wanted to know I could do it naturally. And that takes preparation. Not just physical preparation, but mental and emotional preparation. So when you ask me my birth story the majority of it is in the 41 weeks leading up to actually giving birth. Now, on to the main event. It was November 18th, Friday morning (the morning after my acupuncture appointment). I came downstairs and saw my bff and doula, BK, who was so gracious to stay with me until the baby came (which ended up being 2 weeks). She said that I looked pretty miserable. I was so happy to hear that because the day before at Andrew’s office the one doctor who works a lot with the “preggo” mamas told me that he knew I wasn’t going to go into labor that night because I just didn’t look miserable enough yet. Yay! I finally looked miserable! However, it was because I was up all night peeing and having cramps. They felt like menstrual cramps – not the type of cramping that had been explained to me as contractions. So I felt miserable because I was tired and annoyed that I wasn’t in labor yet. So we carried on with our day. We just bummed around, watched a movie, went to a farm to check out their local food, and took a nap. I was supposed to have an appointment with my midwife about 40 minutes away. We started driving and I got a message from her saying that she witnessed an accident and had to go to the police station. The appointment was cancelled. Hallelujah because I really wasn’t feeling good. We pulled over and I explained to BK what I was feeling and that the cramps were getting really close together. She felt my belly during the next cramp and told me right away that I was having contractions. Shoot. I had been contracting since the previous night without even knowing it. So, we did what anyone would do. We went to Starbucks. And laughed. A lot. When we got back to the house I explained to Andrew what was going on. It was a little after 3 in the afternoon. We timed some of my contractions to be sure, and it was true – I was in active labor! I called the midwife and told her an update and she said, “I might see you before midnight, definitely by 3 am. Take a bath, drink a glass of wine, and take a nap. You’re in it for the long haul and you need your rest.” So, Andrew took our pup to the dog sitter’s house (there is no way I could have that crazy pup around me during labor) and I took a bath. When I climbed into bed for the nap I quickly realized there is no way in heck I was going to be able to fall asleep. The contractions were too intense, too close together. This is really happening, and it’s happening fast. You see, my midwife thought I was in the early labor stage, where you distract yourself by watching a movie, doing a puzzle, or taking a walk. I, however, skipped that part by not knowing I was in labor earlier in the day. So we were active. Andrew set up the birth pool. It took all of my concentration to get through each contraction. Andrew and BK applied counter pressure on my lower back during each surge. During the majority of my labor I was on my hands and knees. That position is one of the many (except on your back) that encourage your body to open up and get the baby down and out. Then transition came. Transition? The hardest stage of all. It’s the stage right before you can actually push, lasting about 30 minutes. Transition is the hardest it’s going to get, so if you can get through it, then you’re golden. The problem is that my midwives weren’t there yet to reassure what I felt to be true – that I was actually in transition. I needed somebody to tell me I was, I needed to know that this was the worst it was going to get. But, I trusted my body and I told myself to keep going, it would be over soon. I continued to remind myself of two things: I would have my sweet babe in my arms soon, and yes, I was in pain, but I was not suffering. There is a big difference between experiencing physical pain and suffering. If I could keep that mentality, labor would be easier. So why weren’t my midwives there yet? Well, I’m a first-time mom. Meaning my labor was expected to be long. Really long. So long that we bought a labor puzzle, set up resting areas for the birth team, and loaded up on food for everyone. I don’t think anyone really believed me when I told them they need to be here right now. Because, first time mom. Until I told them I felt like I needed to push. Then my midwife called her backup midwife to come to my house right now. So, two ladies I had never met before walked into my bedroom and I never felt more relief. My midwife was checking another mama who delivered 10 minutes before I did. Bad timing. But, it was time to get this babe out. They told me to get into the tub. The best instruction they gave me was to push as much as my body was telling me to push. No more. No less. I listened to that and was able to avoid a slew of terrible things that happen to a woman’s body when they push beyond what they should be pushing (like when you can’t feel anything after an epidural). An hour and a half of pushing later (it’s not nonstop by the way; your body takes a break from contracting to give you rest, which is really cool and considerate of it) and my baby boy was out. I caught him in my arms and brought him to my chest. 10:51 PM he breathed his first breath. It was beautiful. The most beautiful part? I was at my house. What does that matter? I immediately got to curl up in my bed with my stuffed animals, my husband, and my new little baby. And there we stayed for the next 5 days. People give birth every day, so why did I write my story out? I wrote it because natural childbirth doesn’t often happen, and when it does, the woman is treated as a superhero. Don’t get me wrong, I feel really freaking awesome to have done it. Nothing else could make you feel more capable and empowered. 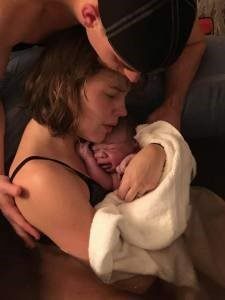 But instead of telling me, “wow, I could have never done that, you’re so strong” I would rather hear, “congratulations on kicking that birth in the behind, welcome to the club, we’ll celebrate with you.” So many times birth is taken out of the woman’s control and is left in the hands of doctors. Doctors are trained for high risk pregnancies and emergencies, and I love them when I need them. But most births aren’t high risk, and they aren’t emergencies. I don’t blame doctors for wanting to do C-Sections, use forceps or the vacuum, prescribe different medications, and monitor vitals. Who wouldn’t want to use the skills they trained for years and years to acquire? Hello useless college degree. But for me, I was a “boring patient.” Why would I subject my very “boring pregnancy” to the doctor who just wants to put his degree to use? I wouldn’t. So I didn’t. Now. To answer some questions/comments I received during my pregnancy that I couldn’t address before giving birth because I hadn’t done it yet (and nobody would trust what I was saying). Why? Why were you worried? You see, I never took comfort in you telling me that. In fact, it always always hurt my feelings. By you telling me you were worried about me made me feel like you didn’t think I was worrying enough. That I was being reckless with my baby. I would have much rather you spent the time and energy not on worrying but on researching what I was doing, why I was doing it as well as research what you were telling me was the better option. Why did you so badly want me to go to the hospital? Hospitals are for sick people. I wasn’t sick. I was pregnant and pregnancy isn’t a disease. Not only were you telling me that you didn’t believe in me but you were saying you didn’t believe in a woman’s capability to do EXACTLY what she was created to do. By you saying I couldn’t do it, you were really saying you don’t trust yourself or the crazy, amazing, beautiful capabilities of your body (because it was always women telling me these things). Thank you. Thank you for genuinely wanting to know. Thank you for taking the time to become informed rather than judge. Thank you for caring enough about us to want to support us. Laura Rupp is the mother to a thriving 6 month old son, Ezekiel, and the wife to her best friend, Andrew. Together, they own Thrive Chiropractic in Cranberry Twp, PA. Thrive Chiropractic is a pediatric, prenatal, and family focused office. 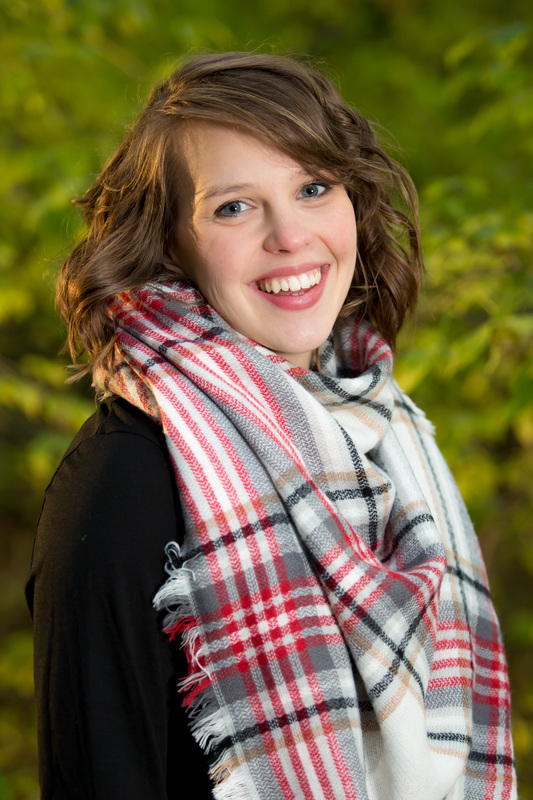 Laura’s desire through her writing as well as through the office is to empower moms to become informed so that they are able to make the best choices for their families.